Denmark has decided to tighten the rules of sperm donation after one donor was found to have passed on a rare genetic condition to at least five of the 43 babies he is thought to have fathered. Neurofibromatosis type 1 (NF1) produces tumors that affect the nervous system, and the affected sperm is thought to have been used in 10 countries. The sperm bank has been criticized for failing to screen for the condition. Donors will now only be allowed to donate enough for 12 inseminations. Denmark has liberal sperm donation policies that appeal to women who want to conceive using artificial insemination. The Copenhagen sperm bank Nordisk Cryobank said it was aware of five babies that had been born with NF1. The clinic’s director, Peter Bower, told Agence France-Presse that confidentiality rules meant he was unable to give detail on how old the children were, or where they lived. But he said the donor was known to have provided sperm to women prior to October 2008, in countries inside and outside Europe. He said Nordisk Cryobank did not stop using the sperm immediately because it could not be sure the donor was responsible for passing on the condition. 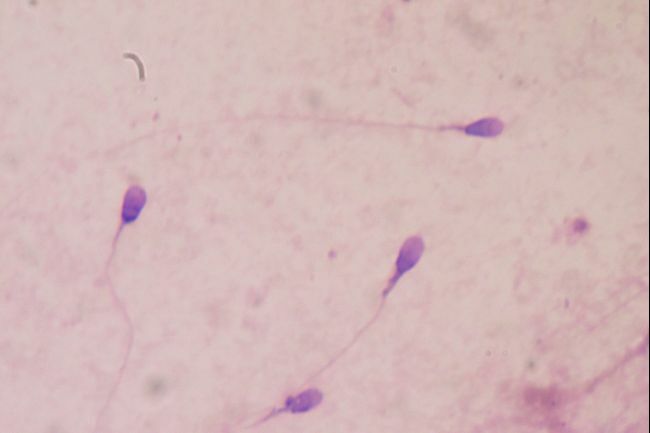 The donated sperm was used by 14 different fertility clinics, Danish broadcaster DR reports. NF1 is caused by a genetic mutation. In half of all cases it is passed from a parent to their child. In other cases, the mutation develops on its own. It can produce a wide range of symptoms – from unusual skin pigmentation, to serious and disfiguring non-cancerous tumors which can sometimes turn cancerous. It can also cause learning difficulties, problems with vision, and an abnormally curved spine. There is no treatment for the condition, but the symptoms can be managed. A mother of one of the affected children, Mia Levring, condemned the clinic’s actions, saying she was “shaken and shocked”. The head of the Danish Health and Medicines Authority, Anne-Marie Vangsted, criticized the sperm bank, saying it had failed to withdraw the sperm when it first became aware of the problem. It is unclear how the donor who passed on NF1 was able to father 43 children, despite Denmark’s current limit of 25. The new limit of 12 will be introduced from 1 October.